What happens to a neutron star’s accretion disk when its surface briefly explodes? A new instrument recently deployed at the International Space Station (ISS) is now watching bursts from neutron stars and reporting back. In early June of 2017, a SpaceX Dragon capsule on a Falcon 9 rocket launched on a resupply mission to the ISS. The pressurized interior of the Dragon contained the usual manifest of crew supplies, spacewalk equipment, and vehicle hardware. But the unpressurized trunk of the capsule held something a little different: the Neutron star Interior Composition Explorer (NICER). In the two weeks following launch, NICER was extracted from the SpaceX Dragon capsule and installed on the ISS. 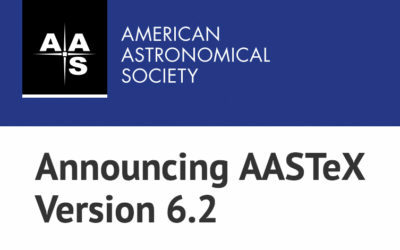 And by the end of the month, the instrument was already collecting its first data set: observations of a bright X-ray burst from Aql X-1, a neutron star accreting matter from a low-mass binary companion. NICER’s goal is to provide a new view of neutron-star physics at X-ray energies of 0.2–12 keV — a window that allows us to explore bursts of energy that neutron stars sometimes emit from their surfaces. In X-ray burster systems, hydrogen- and helium-rich material from a low-mass companion star piles up in an accretion disk around the neutron star. This material slowly funnels onto the neutron star’s surface, forming a layer that gravitationally compresses and eventually becomes so dense and hot that runaway nuclear fusion ignites. Within seconds, the layer of material is burned up, producing a burst of emission from the neutron star that outshines even the inner regions of the hot accretion disk. Then more material funnels onto the neutron star and the process begins again. Though we have a good picture of the physics that causes these bursts, we don’t yet understand the impact that these X-ray flashes have on the accretion disk and the environment surrounding the neutron star. In a new study led by Laurens Keek (University of Maryland), a team of scientists now details what NICER has learned on this subject. The burst radiation from the neutron star’s surface was reprocessed — i.e., either scattered or absorbed and re-emitted — by the accretion disk. The persistent, usual accretion flow was enhanced as a result of the burst’s radiation drag on the disk, briefly bumping up the disk’s X-ray flux. While we can’t yet conclusively state which mechanism dominates, NICER’s observations do show that bursts have a substantial impact on their accretion environment. And, as there are over 100 such X-ray burster systems in our galaxy, we can expect that NICER will allow us to better explore the effect of X-ray bursts on neutron-star disks and their surroundings in many different systems in the future. Check out the awesome gif below, provided by NASA, which shows NICER being extracted from the Dragon capsule’s trunk by a robotic arm.